Some choices you've made and the path you follow are seemingly selfish and self-centered. I was taken aback by her reasoning. How dare she call my addiction passion for travel pure selfishness? I am enriching myself by seeing new places and learning new things. I meet interesting people and I'm loving my life. I feel empowered by my adventures. See how many times the word "I", "my" and "myself" have appeared in the previous paragraph? Hmm... maybe my friend does have a point. Maybe traveling is a wee bit selfish. But how can we turn it around? Remember why I didn't see a single tarsier in Bohol? It was part of a travolunteering trip with the K.I.D.S. Foundation. We went on a medical mission that reached out to the Eskaya tribe in Sierra Bullones, Bohol. K.I.D.S. Foundation is a group of selfless volunteers who share a common passion for the great outdoors and for helping Filipino children from all walks of life. This year, you also get the chance to have a more meaningful travel experience by joining the next trek. K.I.D.S. 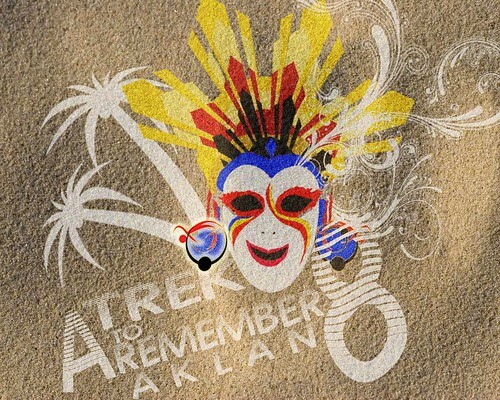 Foundation, Inc. will have its 8th A TREK TO REMEMBER (Medical-Dental Mission) in Aklan from Nov 11-15, 2011. They're inviting medical practitioners, doctors, dentists, nurses, nature lovers, travel geeks, or simply those young at heart to embark on a memorable trek while getting a chance to know 3,000 children ages 0-17 of Bukidnon tribe & locals of nine (9) remote barangays of Madalag, Aklan. A Trek To Remember is a bi-annual trek of the K.I.D.S. Foundation that distributes books and school supplies for public schools in far flung areas. This trek-for-a-cause brings the traveler back to nature and assures the participant of a different kind of high that one can only feel when one shares. This November, they're inviting you to continue this journey and trek to two (2) barangays; Galicia and Medina that will serve the nine (9) barangays: Galicia, Medina, Dit-ana, Mamba, Maria Cristina, Mercedes, Panipiason and Talangban. You may also explore Boracay in Malay, Aklan and Jawili beach and falls in Tangalan, Aklan after the medical mission (whole day of Monday and Tuesday). Registration fee is Php3,500.00 (inclusive of meals, transfers & accommodation). You may register today until Oct 10 and deadline for payment is on Oct 24. Join K.I.D.S. 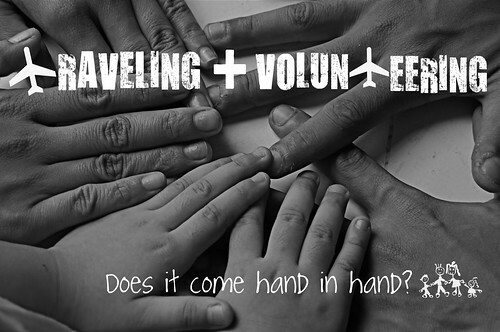 for this travolunteering experience by emailing: rt_oquendo@yahoo.com. You may also call K.I.D.S. Office at (02) 708-KIDS (5437), (02) 348-2109 or 0922-854-3733 for questions or clarifications. Look for Ms. Rox Oquendo. Ms. Rox will also be present for Travel Sharing Night on Sept 18 to talk about the foundation and the trek. You may also sign up for the trip then. Yikes. Your friend sounds like a bit of a beyotch. Everything that people choose to do selfish. EVERYTHING. Including having children, or being a carer, or volunteering, or traveling. I would love to volunteer.. hope I can squeeze a Vacation Leave for that event.. I absolutely agree that everything we choose to do is selfish Torre. And putting your happiness first isn't always bad. I guess that's one thing we can rely on our friends for: a lot of fierce honesty. I guess she was looking at things from a different, more conservative perspective Flip. Not everyone will agree with our meandering ways ;-) thanks, I really hope a lot of travelers will join this trek for a cause. I hope you can make it Joanna. I did it last year and the experience was really life-changing! 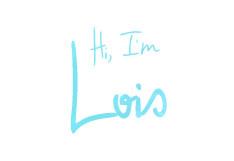 Probably you blog about 'adventures' and 'partying' and 'happy traveling' more than the 'depressing' ones? -- Actually lost rin ako kung anong sasabihin. I can't really tell why your friend said that. 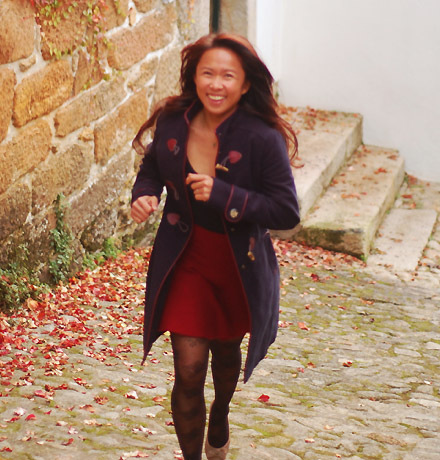 She may have a point, but in due time gals, our passion for traveling will definitely evolve. Just the way your 'glam packing' ways have evolved into 'poor packing'. It will still evolve as time passes. she somehow has a point but she seems to be not open minded. i dont see selfishness even on personal trips and trips for leisure. in fact this reminds us that apart from the busy lives that we have, there's a need for balance. as we travel, we grow and finally we realize that it's not about us. we will always be using "I" many times simply because it's our experience. nice way to support some outreach. I appreciate what you wrote about us inspiring some people Ed. That's what we hope to instill in others, the love for travel and child-like curiosity about life. Hope you can also join the trek.. it's bi-annual so there are plenty of opportunities! See you soon! Can't wait! Very well said Dong. Travel really allows for growth and new learning. We should start with enriching our lives in order to give value to others. I'm supporting K.I.D.S. because they gave me a travel experience like no other. I hope to join even more volunteer groups in the future. work-life balance, that's somehow the mantra our employer is spreading across all cubicles and department and this can be subjective. It depends on where you are at the moment, sure she have her good points but if you haven't experience travelling then you can debate all you want till you're 60 about this topic...haha. Anyhow, see you on your Travel talk! I never really agreed with that work-life balance bull-crap they served up in those multinationals. That's true about friends and colleagues. They are always excited to hear about your travel stories, but at the end of the day, they will settle for living vicariously through you. We hope to convince enough people that the world was meant to be experienced, not imaged. Hi, Please confirm that I still need to book my flight to Aklan for the Medical and Dental Mission then aside to that all will be covered in the Php3,500 (meals, accommodation, transfer). Yes that's right Nina. It's going to be worth the experience, promise. Plus you have time to book those cheap flights ahead of time. Hope you take this opportunity to share with others. Wow, I've been criticized for my travels too, but no one has ever called me selfish for doing it. I think that's going too far. I think that if you have the time and money to travel, you should. Steve! You're back! We look forward to your new posts. I absolutely agree, if you can travel- do it! Start wandering. Some people just don't understand that travel for us is not just a want- it's a need. It's like food and air! 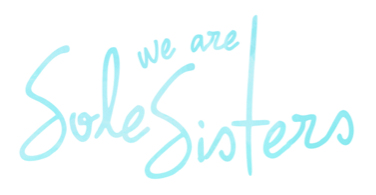 We Are Sole Sisters is a personal blog to inspire you to be mindful, share stories and reinvent your life every day. I believe in the power of words to transport us to worlds deep within ourselves.